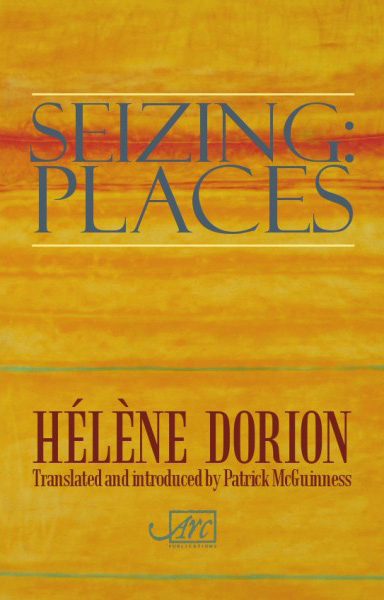 Together with her fiction, essays and livres d’artistes, Hélène Dorion’s poetry constitutes one of modern Québécois literature’s foremost achievements. 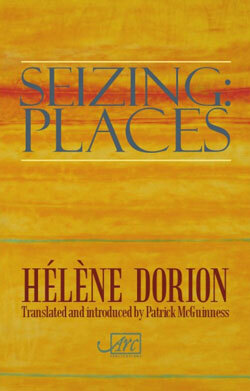 Seizing: Places (Ravir: Les Lieux) was awarded the Prix Mallarmé in 2005, the first time that a Canadian had won this prestigious prize. Comprising five sequences, it is arguably Hélène Dorion’s most ambitious work to date. With an Introduction by Carcanet poet and Booker-longlisted novelist Patrick McGuinness. Hélène Dorion was born in 1958 in Québec City, and now lives in Montréal. She is the winner of the Governor General’s Award for Poetry, and numerous other prizes, the most recent of which was the Prix Senghor in 2011. Patrick McGuinness is the author of two poetry collections published by Carcanet – Jilted City (2010) and The Canals of Mars(2004) – and the Man Booker Prize-longlisted and Costa-shortlisted novel The Last Hundred Days (Seren, 2011). In 2009 he was made Chevalier des Palmes académiques for services to French culture, and in 2011 Chevalier des Arts et des Lettres.